The Maruti Suzuki Vitara Brezza is by far the best selling SUV in the country not only in the sub-4 meter segment but in all segments combined. On average, Maruti Suzuki sells around 14,000 units of the Vitara Brezza every month. However, many potential buyers didn&apos;t go for the Vitara Brezza because of the lack of a petrol engine option on the sub-4 meter SUV. Reports now suggest that Maruti is working to address this issue and will soon bring a petrol-powered version of the Vitara Brezza. The engine in talks here is the 1.5-litre petrol unit that is found under the hood of the Ciaz and the new Ertiga. Along with a new petrol engine, Maruti will also equip the Brezza petrol with a new automatic transmission, though that will be done at a later stage. This automatic unit will be the 4-speed torque converter from the Ciaz and Ertiga Petrols. Initially, the petrol Vitara Brezza will only come with a 5-speed manual option. On the Ciaz, the 1.5-litre petrol engine puts out a maximum power of 103 Bhp along with 138 Nm of torque. Though not confirmed yet, the company could play with the tuning a little bit so as to make the engine a better suit for the Brezza. Further, Maruti Suzuki will equip the sub-4 meter SUV with the Smart Hybrid system (SHVS) which will make it the only vehicle in its segment to feature mild hybrid technology, though Hyundai is also reportedly planning to bring a hybrid option on its upcoming Brezza challenger, the Venue. Prior to locking down on the 1.5-litre petrol as the preferred engine choice on the Brezza, Maruti was also considering using the 1.0-litre Boosterjet petrol engine on the Vitara Brezza. However, it was later dropped in favour of the 1.5 litre unit as the latter was better for on for the Brezza and the segment it belongs to. All of the direct rivals of the Vitara Brezza already come with a petrol engine and it was the only vehicle in its segment to feature a single engine option. However, the Vitara Brezza has been a big sucess for the company and it would not like to leave the crown to any new entrant, in particular to the upcoming Hundai Venue. The Venue will get two petrol engine options, a 1.0 litre turbo unit and a 1.2 litre unit. apart from the Venue, the new Vitara Brezza 1.5 petrol will take on the likes of the Tata Nexon petrol, Ford EcoSport petrol, and Mahindra XUV300 petrol. How things turn out for the new Vitara petrol can&apos;t be said as of yet but with Hyundai jumping into the game, things are going to get tough for Maruti for sure. 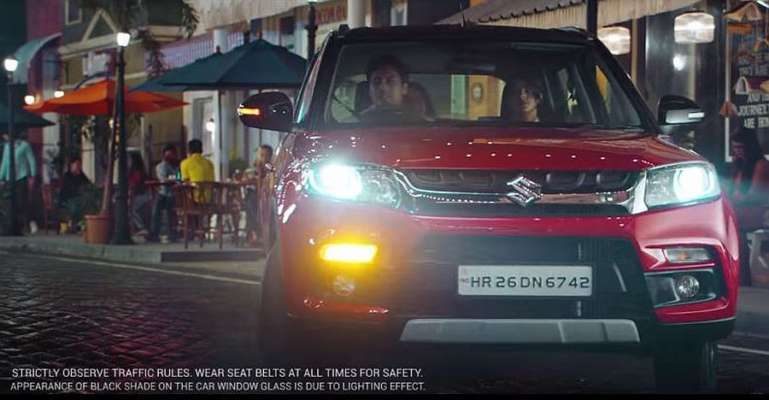 Maruti Brezza compact SUV's new TVCs out!